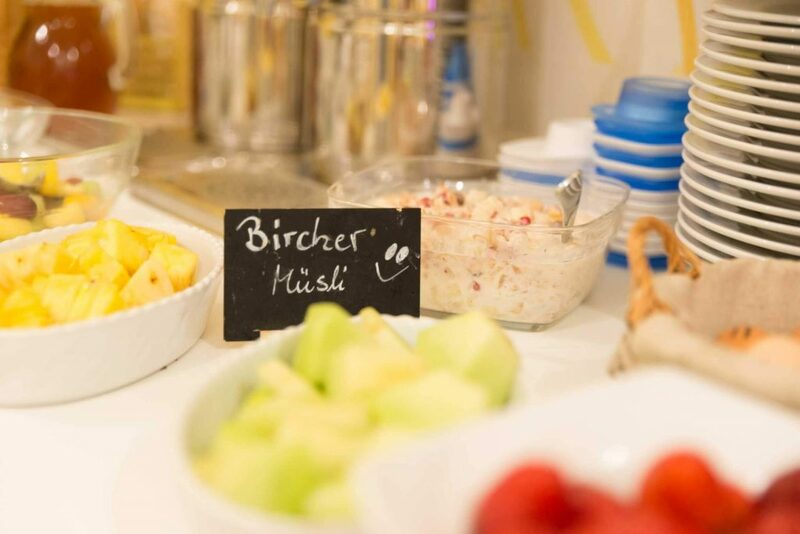 We take great care to use regional and seasonal products. 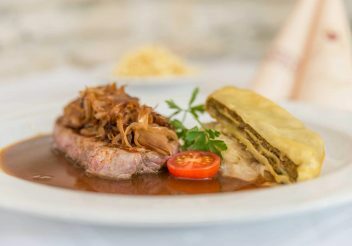 And we prepare them with great care to make quality dishes from quality ingredients. 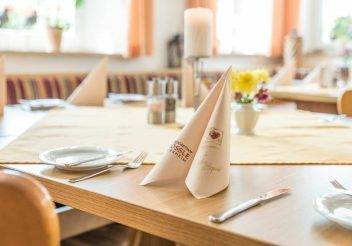 For this to remain that way, we are always glad if guests book a table in advance. 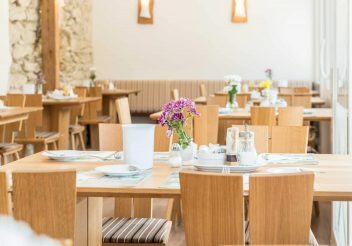 This way we can see to it that enough service staff is present and we can concentrate on preparing an excellent meal for each guest. 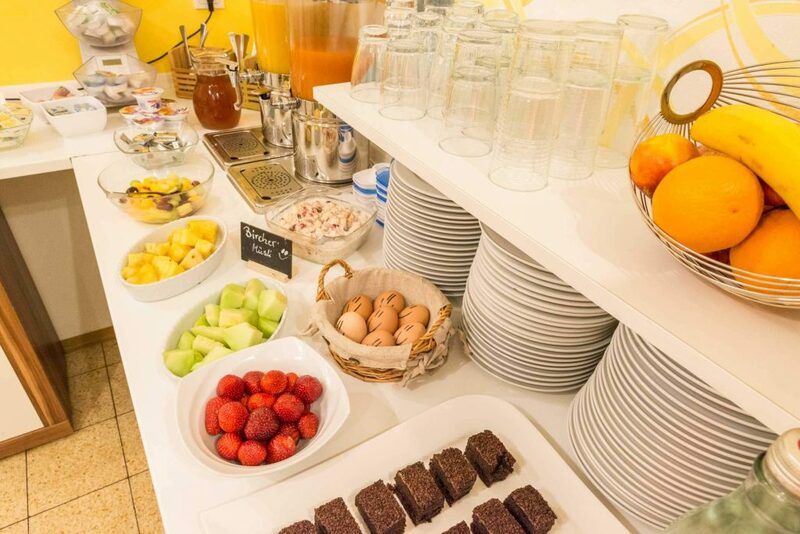 It is common knowledge that breakfast is the most important meal of the day. This is why the high quality standards of our restaurant also apply to the breakfast at Hörners Landgasthof. 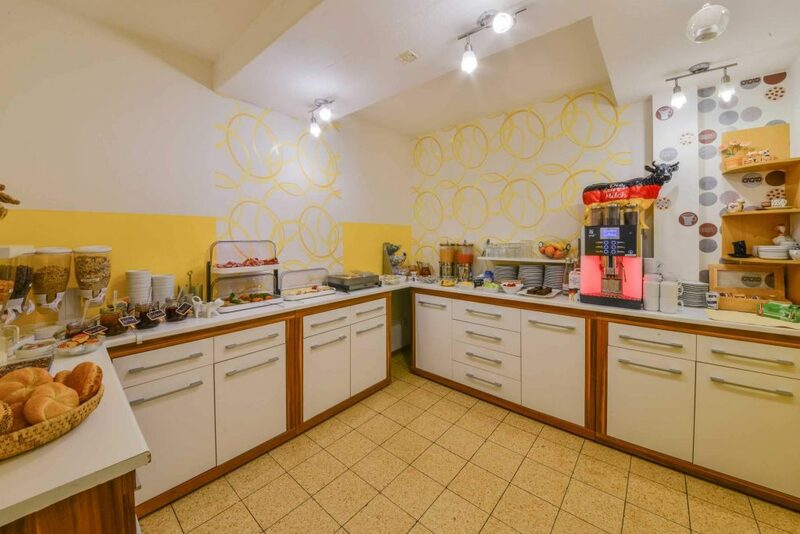 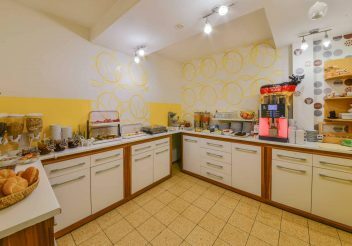 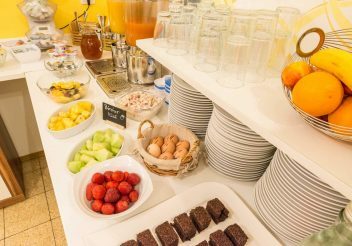 The day starts off great with ingredients that are both delicious and healthy and that supply our guests with lots of energy of the day, such as fresh cold cuts and cheese, fruit spreads, fresh bread, and great coffee. 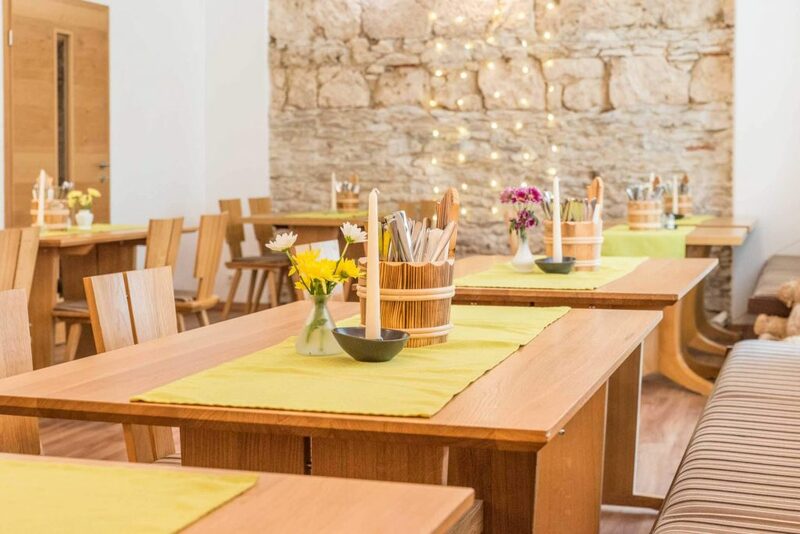 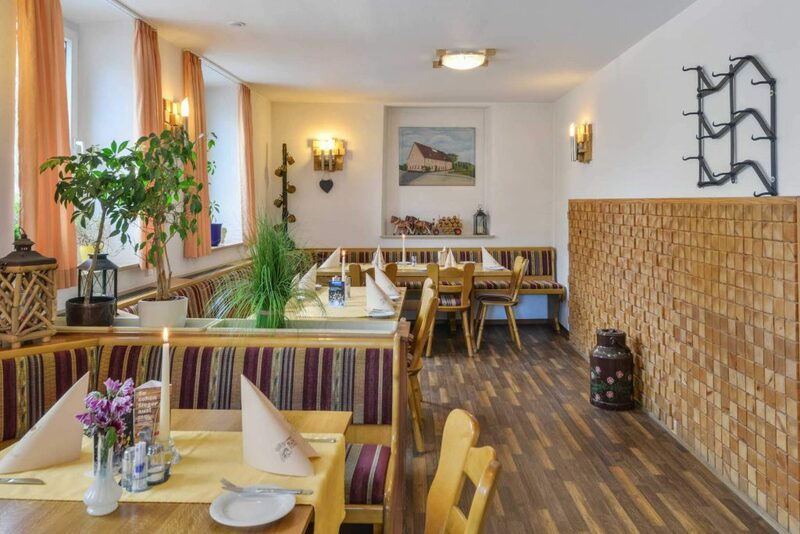 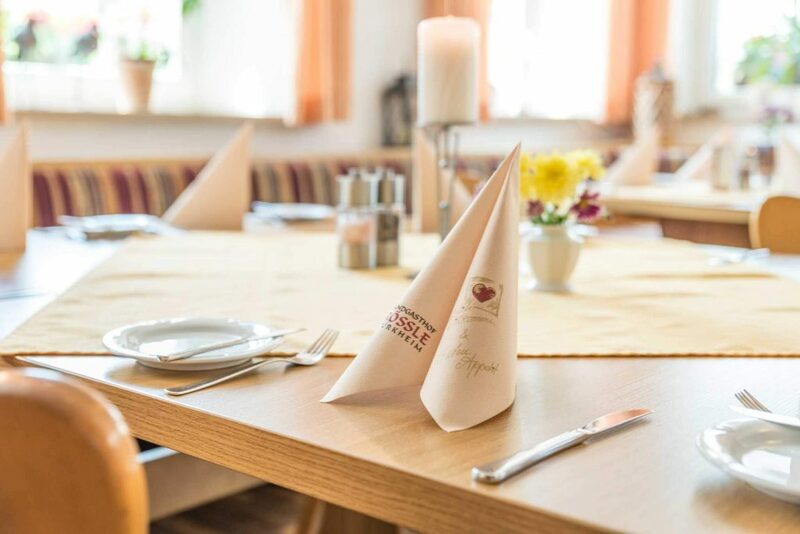 The menu at the Restaurant Hörners features many traditional Swabian classics and Alpine specialties. 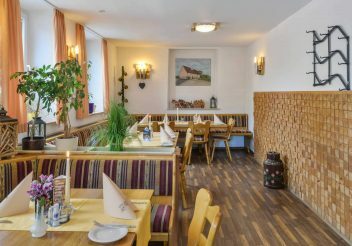 Some of our dishes are prepared according to traditional, authentic recipes, whereas others are modernly reinterpreted. 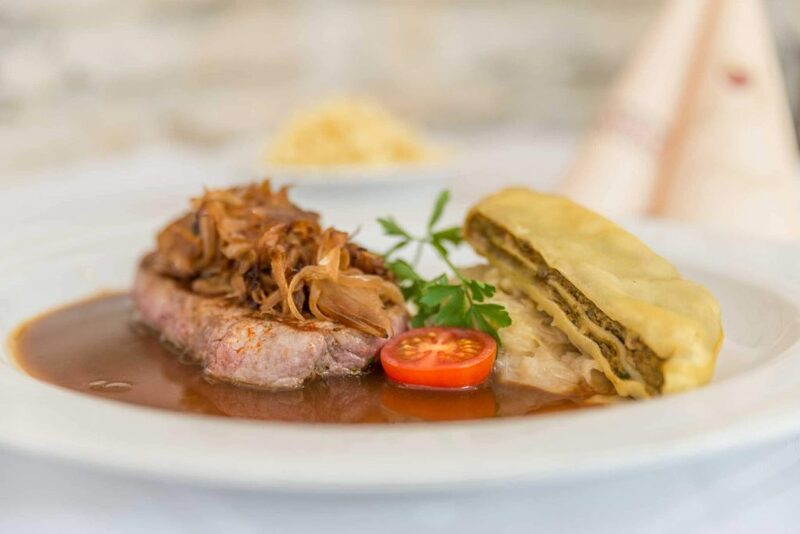 Depending on the season and the availability of the right ingredients, we also like to serve Mediterranean dishes. 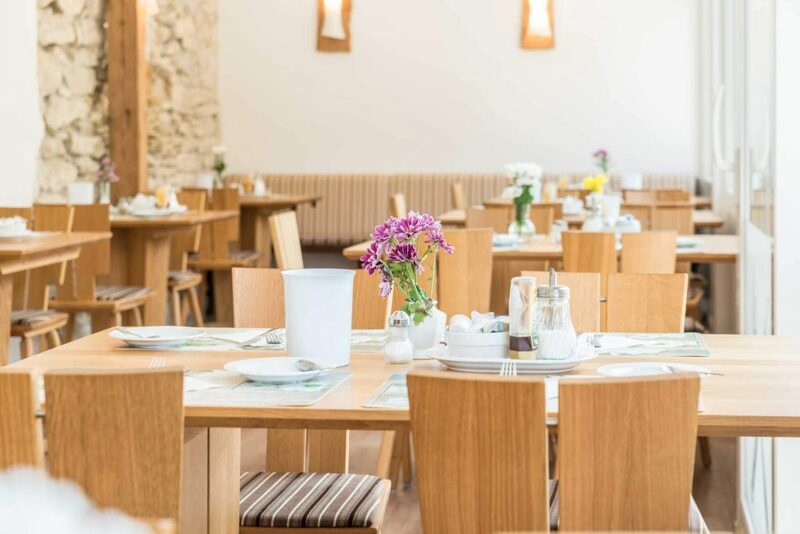 Our food is served in our tastefully designed modern country-house style dining hall. 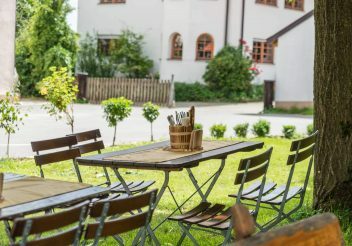 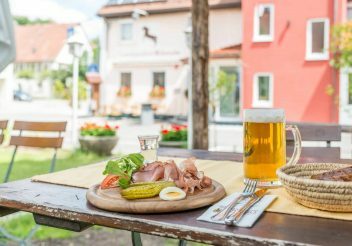 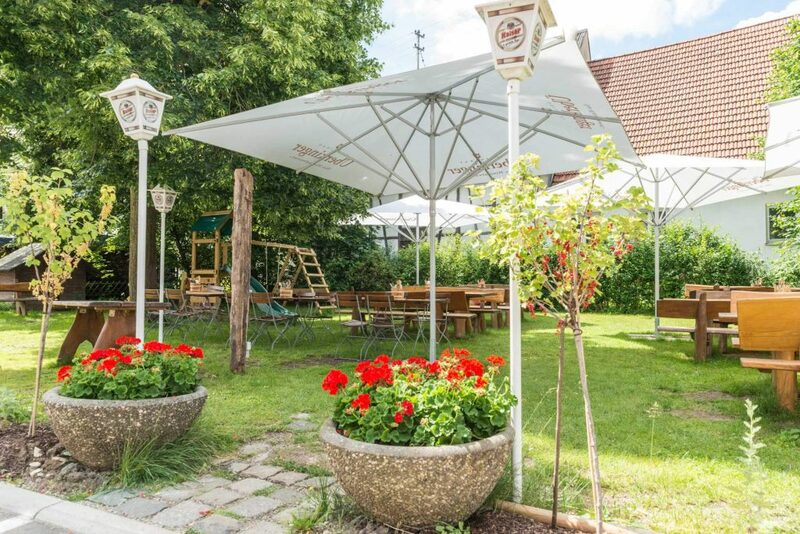 The beer garden at the Gasthof Hörners is the perfect place to have a great time and enjoy the weather. 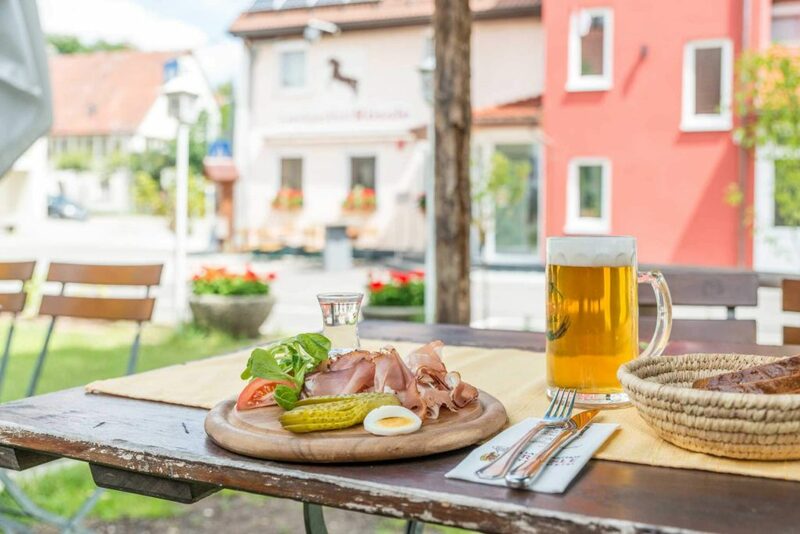 In the shade of our old trees in our lush green garden, a roasted knuckle and a nice German beer taste twice as good. The calm atmosphere and the view of Türkheims village architecture set the stage for you to take your time with your delicious meal and for pleasant summer evenings. 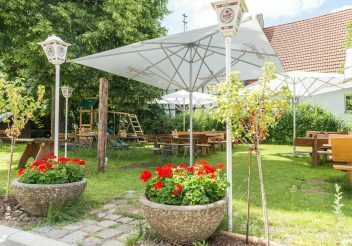 There is a playground at the far end of the garden specifically for the little ones among our guests.